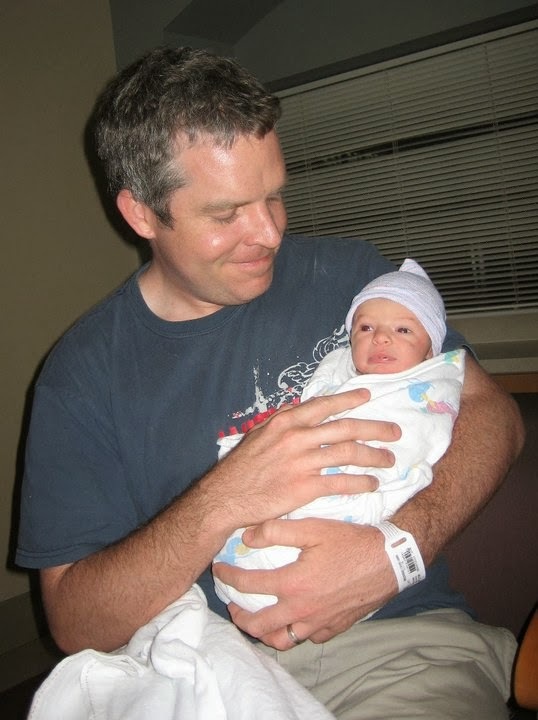 As part of the 7 Posts in 7 Days Challenge, I'm writing up the birth stories for each of my kids. You can read Blaise's here. It's worth reading that one before this one so things make more sense. My birth stories aren't really the "feel good" kind, but they are my reality and I think it's helpful for me at least to write them down. Given the struggle with my last delivery, my OB and I were a bit more cautious this time around. I had the nurse at the school where I was teaching take my blood pressure every day from about week 28 onward. It was never high there, but almost always high at the doctors, probably due to my anxiety from last time! Similar to my first pregnancy, I had no problems and not even a fake (or real) contraction the whole time. In the evenings, John would often like to press his head into my belly and listen to the baby's heartbeat. (John has really good hearing, so if you try this at home don't stress if you don't hear anything!) Sometime after the start of week 40, John started to notice that Finn's heartbeat was often quite high. We were a bit concerned, but typically after listening for 5 minutes or so it would slow. At my 41 week appointment on June 1, I was scheduled for a sonagram to check the baby's development given that I was so far along. During the sonagram, his heartbeat was in the 200's. This concerned the tech slightly, so when it was finished, I was hooked up to a machine to continuously monitor Finn's heartbeat. When my OB came into see me, we immediately began to discuss our induction plans, which would be scheduled on June 3 (41.5 weeks). Given my challenging induction with Blaise, she said that a scheduled c-section would certainly be a good option to consider. She thought that if I went into labor on my own, or if Finn was not sunny side up like Blaise that things could be different, but there was no guarantee. It could just be that my pelvic bone is on the smallish side. 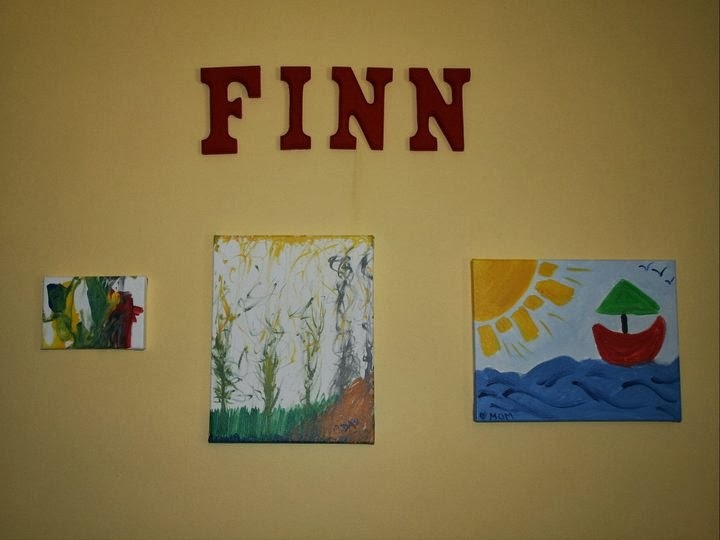 Before we could even finish the discussion and make a decision, Finn made it for us. His heart rate had been over 200 for the entire 30 minutes I was being monitored and it was continuing to climb. My OB pulled out her cell phone and made a call to the hospital to prep an OR for us immediately. She said they would try to wait for John to arrive, but he needed to get there ASAP. We were all assuming an induction on the 3rd, so my parents were only halfway to Kansas at the time. Our plan for Blaise was that he would go to a friend's house, but they lived 15 minutes away, in the opposite direction of the hospital. So he walked Blaise to a neighbor's house and asked if Blaise could stay there until my parents arrived, probably around midnight. These were neighbors who we had only known a short time, but who also had a little girl around Blaise's age. They were very gracious and happily agreed to watch Blaise. John made it to the hospital in time to see me for just a few minutes before I was taken into the OR. He got dressed in scrubs and was able to be with me for the surgery. Everyone in the OR was quiet and worked quickly. My OB and another doctor did the surgery together. They had Finn out and whisked him away quickly, but there was no need for concern - he was perfectly healthy! They never were able to determine a reason for the high heartbeat. From the time I walked into the office for the sonagram to Finn's birth was a very short and whirlwind 2 hours! While sewing me up, I started to freak out. I just kept repeating how I wanted to go home. So they pushed some more drugs and knocked me out completely! I woke up an hour or so later in the recovery room. 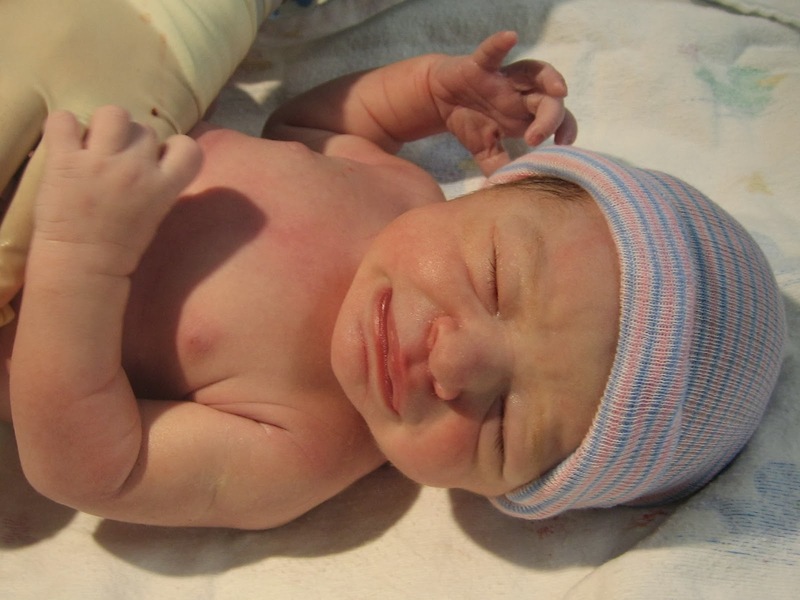 Surprisingly, the recovery from c-section was far easier than my first delivery and I went home from the hospital the next day. Enjoy some pictures from Finn's first day and I'll be back with Lucy's story on Saturday! You're a trooper! Things don't always go according to plan but it is good to have a plan anyway!